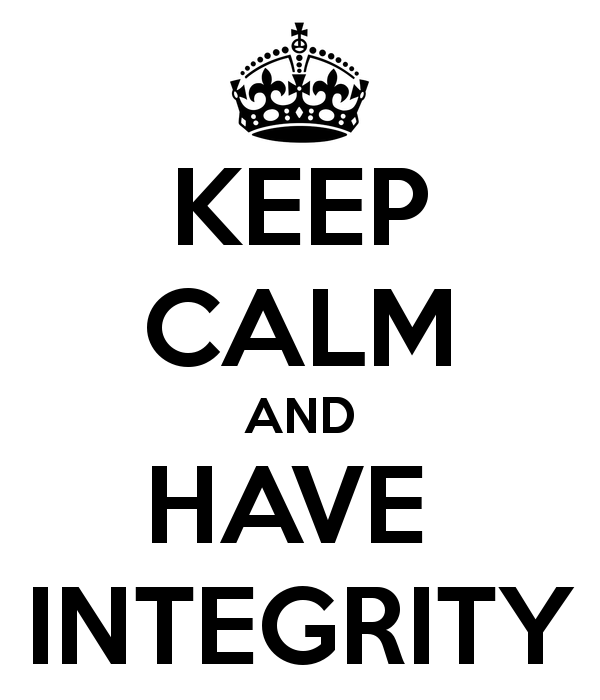 One of the best ways I have found to think about integrity is that it means always speaking the truth. People who speak the truth have a high level of integrity because not only do they say what they mean, but they do what they say. And, perhaps most importantly, when they fail to make their words and actions consistent with one another, they admit it. There is no shame in failing or in making a mistake. Our character only suffers when we feel compelled to put a perfect (and therefore false) face forward to the world. Those who admit no fault or need for growth simply aren’t believable.